Protecting your business and its people. Are you sure you are removing the risks? 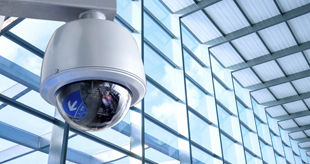 Rancom commercial deliver comprehensive fire and security solutions on time and in budget, specifying future-proofed systems to protect both life and property. Combining solid fire and security industry knowledge with dedicated customer service, ensures Rancom Commercial deliver consistent service as key suppliers to your business. With a network of engineers, technical resourcing staff and administrators – you have our utmost assurance that we’re here to take care of business. By combining market leading and innovative security products with seasoned system design knowledge, Rancom Commercial are able to propose and install Gold Standard intruder detection systems, in all types of commercial & industrial premises. Tailored to its use, occupancy, risk and environment. 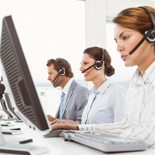 Our systems are remotely monitored by NSI Gold Alarm receiving centres, manned 365 days a year by dedicated operators. Whether configured for Man Guard response or key holder alerts, our digital network of ARCs are monitoring our specialist systems, permanently. 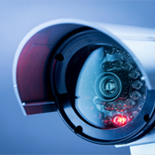 Digital IP CCTV delivers the cutting edge evidence quality required to achieve a solid conviction rate and deter opportunistic threats. Not only do our IP CCTV solutions offer first class real-time images and archived footage, they can also offer valuable insight into the behaviour and movement patterns of your customers and staff; through intuitive analytics tools. At Rancom Commercial, our team bring a wealth of experience in the review, specification and implementation of closed circuit television systems, matched to the environment of its deployment. 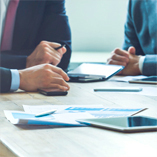 Our dedication to working with best-in-class partners ensures that both the networks we install and the quality of the hardware proposed will deliver a solution that redefines your expectations of the technology. The Fire Detection Systems specified and installed by Rancom Commercial provide the ultimate protection to life, property and operation. With expertise spanning traditional conventional systems to addressable multi-tenanted systems, our knowledge of all applicable British standards and the compliance requirements for servicing and inspection, mean that whatever the scope of your requirement; we can protect it. Whilst defending and monitoring the outside of your premises is our speciality, our expertise doesn’t stop at the front door. 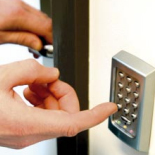 An effective internal access control system should be easily manageable in-house, affording simple administration of users, access levels and routes. 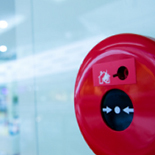 Rancom Commercial deliver intelligent access control networks, integral with both the fire and CCTV systems on site – Ensuring safe evacuation procedures whilst maintaining the security of your premises. Contact us now for a free no obligation system survey & report. Call 0333 405 0021 or use the quick contact form. Additional services provided by Rancom Commercial. Working with key vetted commercial partners enables us to expand our scope of services outside of our in-house abilities. We leverage long standing relationships with our key partners to ensure that our ethos of solid industry knowledge and dedicated customer service is carried through; centralising all compliance and risk services into one key contact within Rancom Commercial Security.